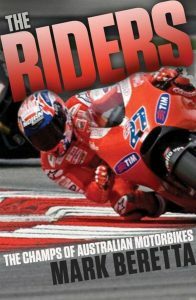 Australia′s love affair with motorcycle racing and its fearless heroes was meant to be. Two things have made it so enticing. The first is the inherent love of freedom, speed and adrenalin – that wild feeling of the wind whipping your face as you fight to take the machine as fast as it can go. The second is the ingrained Australian desire to test ourselves against the rest of the world – to be the quickest of all.